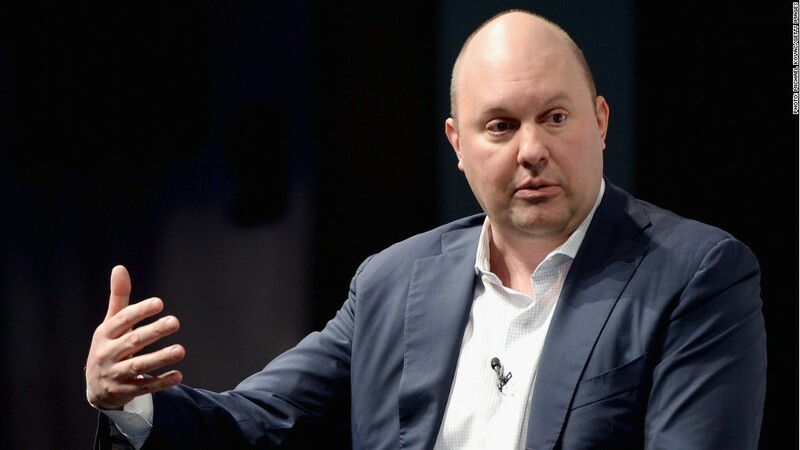 Marc Andreessen believes startups are burning cash--but they'll still get funding. Startups might not be spending responsibly, but that doesn't mean venture capitalists will be giving them less money. In fact, they might be spending more. "The argument is that tech is permeating more industries than ever before," said venture capitalist Marc Andreessen at the Wall Street Journal Digital conference in Laguna Beach, Calif.
Last month, Andreessen made headlines for his Tweetstorm critiquing tech startups for blowing through cash, telling them to "worry" about their spending. Related: Apple Pay signup is "fantastic"
He held firm on his stance on burn rates (how quickly firms spend capital) in a conversation with Jonathan Krim of the Wall Street Journal on Tuesday. "Cash burn is getting out of hand," said Andreessen. "You want to have a reasonable valuation, reasonable cash burn." But he said founders often got overly excited (or depressed) and spent the money too quickly. That said, venture capital funding is an "exercise" in finding the unicorns, according to Andreessen. Venture capitalists invest in $20 to $30 billion in about 4,000 companies a year, knowing that only about 15 will be home runs. "Every 12 months, there are 15 companies created that will generate 90% of all [venture capital] returns," Andreessen said. But with technology touching more industries -- will that number increase? "That's the debate we're having internally," said Andreessen. "Airbnb's [valuation] is hard to argue with." Airbnb was valued at $10 billion earlier this year, and Andreessen called it a "home run" for real estate startups. He said Uber and Lyft (of which he is an investor) were the same for the transportation industry.